FC’12 style is a kit style project of FM Slovakia. 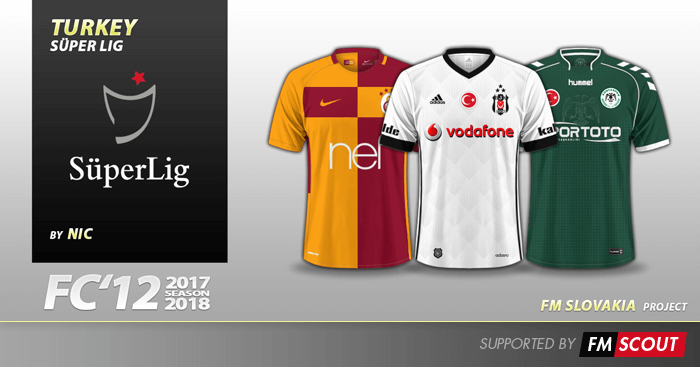 This league pack contains 54 real (8 alternative) kits; home, away and third for most clubs in this style. @Patres10 My bad, i am sorry. When you dl something for a 3D game, you expect to see them in 3D matches, also nothing mentions against it in the articles. Thank you for the effort though. @Wesnt what original site? The only original site is FM Slovakia. And these are ONLY 2D kits. Who told you that they work as 3D? this download link didnt work but i reached from original site and worked, but they r only showing on club tab, not in 3D game.